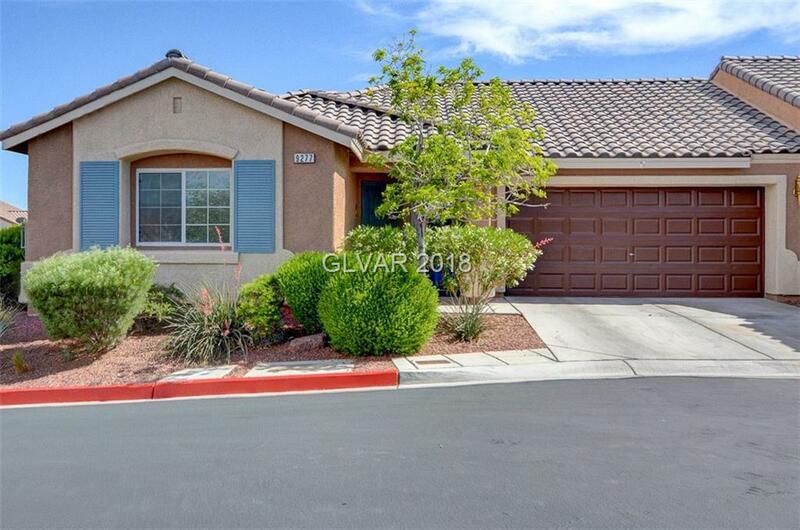 Ready to move in one story 3 bedroom, 2 full baths home in Northwest gated community near Centennial Hills. Freshly paint and raised baseboards, kitchen cabinets and both vanities are real maple wood, original owner, Corion counter tops fully fenced backyard and patio with BBQ stub, 2 car garage. Association pays for landscaping. Convenient short drive to both the 95 and 215 freeways. Directions: I-95 North Exit Horse/N.sky Canyon Go West. N.grand Canyon Go South. W.grand Teton Go East. Armeria Go R. Enter Gate, Go L On Field Thistle. 2nd Right To Lopseed Ct.